Drug use was once a habit that existed mainly on the fringes of society. Parents didn’t have to give much thought to the idea that drug addicts and drug dealers could exist within their communities. With the continuous spread of drug abuse through all segments of society, that is no longer true. Members of every community need to be aware of the symptoms of all forms of drug abuse. If you stay ignorant of the warning signs of drugs, you won’t be able to do anything about a loved one beginning to abuse addictive substances. Even worse, you won’t know what’s happening if someone you know overdoses on a drug. The first thing to know about cocaine overdoses is that there is no set amount that will cause an overdose. Any amount of cocaine can cause an overload of the body’s systems and lead to the complete shutdown that is known as an overdose. Ignorant drug users could think that they have worked out what amounts are safe and what amounts aren’t, but the truth is that sudden death has been caused in even first-time users that only used a tiny amount of the drug. The only way to stay safe around cocaine is to not use it at all. With any amount potentially being the fatal amount, you should maintain a zero tolerance policy for yourself and your loved ones. 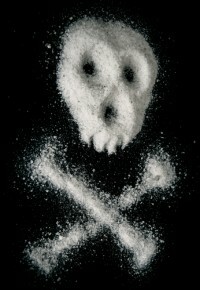 One of the first signs of a cocaine overdose has to do with the effect it creates on the heart. Cocaine reduces the flow of oxygen to your heart, which makes it harder for this organ to maintain the proper quantity of oxygen throughout your body to keep all of your cells healthy. Your heart starts working harder to keep up with the demands of a body that is being starved of oxygen, so you can sense your heart racing. The person that is overdosing will also start to breathe faster as their body goes into overdrive and tries to save itself. If you see these signs in a friend or loved one, you need to get them to a hospital quickly. Cocaine is a stimulant, so it is part of the class of drugs that can heat up your body. Someone that is experiencing a cocaine overdose may feel like they’re running a fever. Their internal organs may begin to get damaged as the body continues to heat up without a good reason. During this overheating stage, the user may also get more talkative and more active. This can easily be mistaken for one of the normal signs of having taken a stimulant, so it is better to be on the safe side and get medical attention. One of the end stages of a cocaine overdose can include the body’s blood vessels actually breaking and hemorrhaging due to the damage that cocaine has caused. If this happens, the user can actually suffer a heart attack or a stroke. If you see any of the classic signs of either one of these conditions (such as garbled speech or loss of the ability to talk, sudden and intense shooting pains in the chest or arms and several others), you should already be on your way to the hospital. If you’re already suspicious of cocaine use, however, you should let hospital staff know that your loved one may be experiencing a cocaine overdose.